Facebook chief executive Mark Zuckerberg has said the company is investigating claims it censored news reports with conservative viewpoints. It follows a week of allegations in the media and discussion in the US Senate. The tech news website Gizmodo had said Facebook staff suppressed articles on conservative topics from the site's "trending" news section and "injected" others, even if they were not trending. Mr Zuckerberg said Facebook had found no evidence the report was correct. "Facebook stands for giving everyone a voice," he wrote in a post. "This week, there was a report suggesting that Facebook contractors working on Trending Topics suppressed stories with conservative viewpoints. We take this report very seriously and are conducting a full investigation to ensure our teams upheld the integrity of this product." He said if any evidence of "anything against our principles" was discovered "you have my commitment that we will take additional steps to address it". Mr Zuckerberg said he was inviting leading conservatives to meet him to discuss their views. Gizmodo's original report alleged that staff tampered with trending topic stories and were told to include stories published by the BBC, CNN and other mainstream news organisations ahead of smaller news sites. It said the trending topics section was run like a newsroom, with curators able to "blacklist" or "inject" topics. 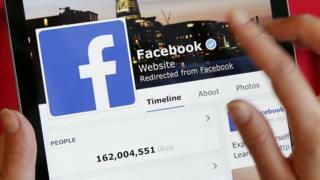 The report was followed by a release of documents to The Guardian, which appeared to show editorial decision-making by Facebook staff, alongside the company's algorithm, to determine what is trending. Stories pulled from mainstream news organisations by the editorial team are called "external" topics, the documents say, and are gathered via feeds from 1,000 media sources. These sources include the BBC, Reuters and many national newspapers, as well as smaller popular sites. The criteria for marking a story as having "national" importance required that it be the lead on at least five of 10 websites: the BBC, CNN, Fox News, The Guardian, NBC, New York Times, USA Today, Wall Street Journal, Washington Post, Yahoo News or Yahoo. Blacklist tools, the documents say, were only to be used for two reasons: where a story did not relate to something that actually happened, or where a story was duplicated. Facebook had been coming under increasing pressure to make its processes more transparent before the release of documents to The Guardian. Republican Senator John Thune, chairman of the Senate Commerce Committee, asked if the company was misleading the public about its news features. "Social networks such as Facebook are an increasingly important source of news for many Americans and people around the world," he said.